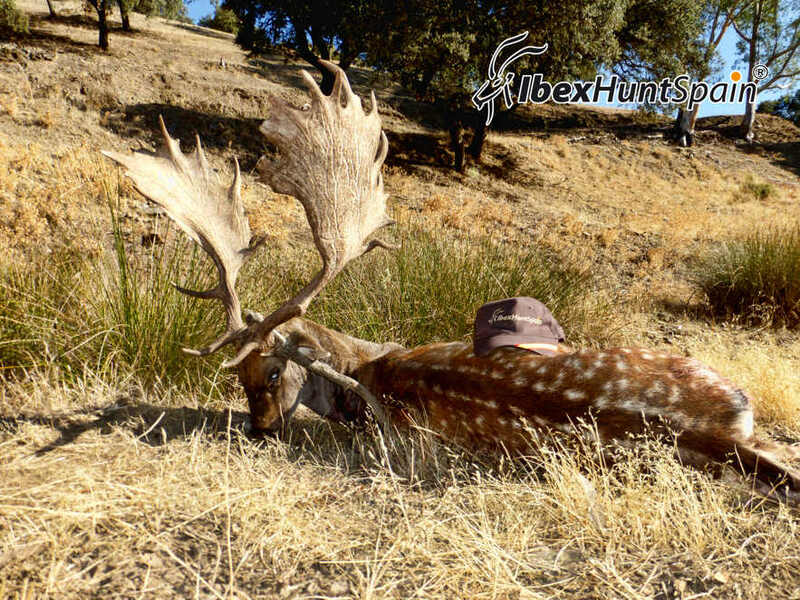 Does and fawns live in herds while males live in smaller groups. 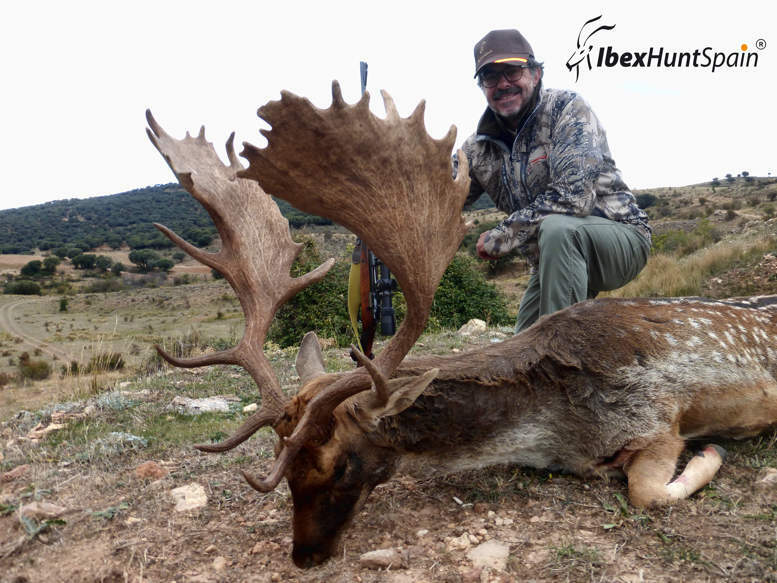 During the rut, bucks spread out forming harems and fighting furiously for its control. 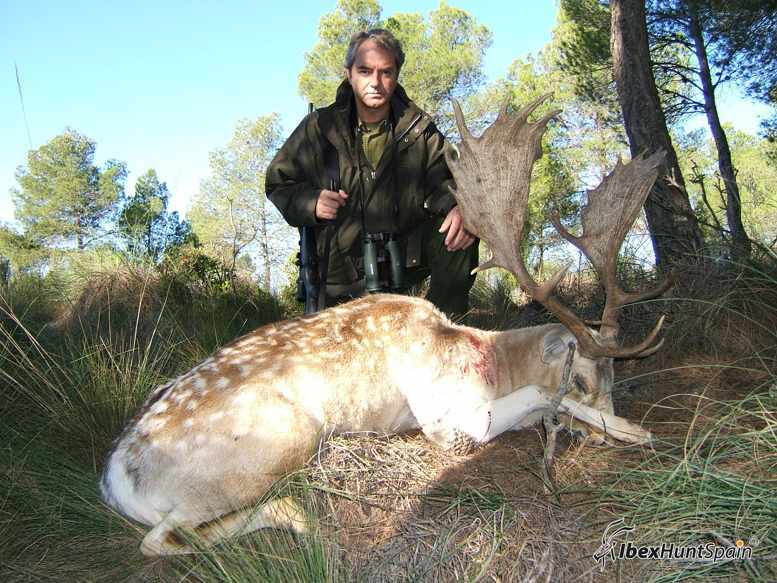 The fallow deer hunting is done by Stalking or driven hunt, from September to March. 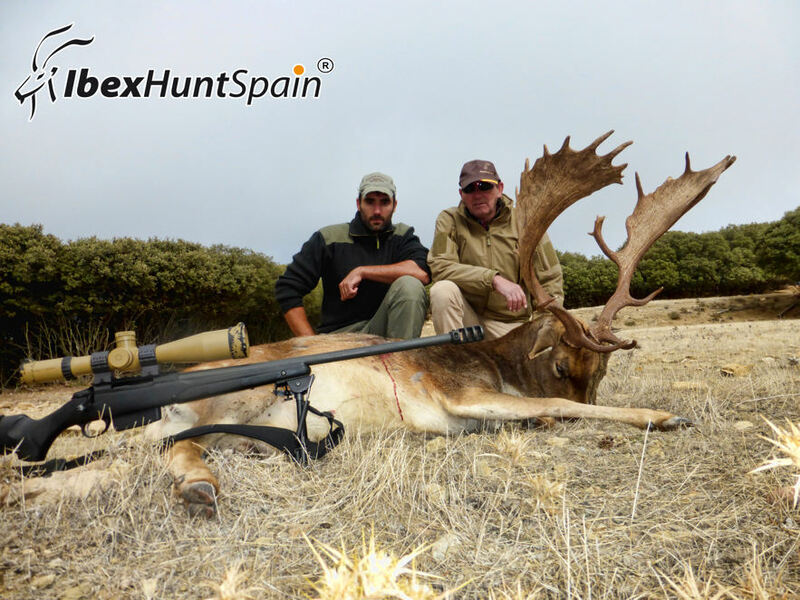 The best fallow deer hunt season is September and October. 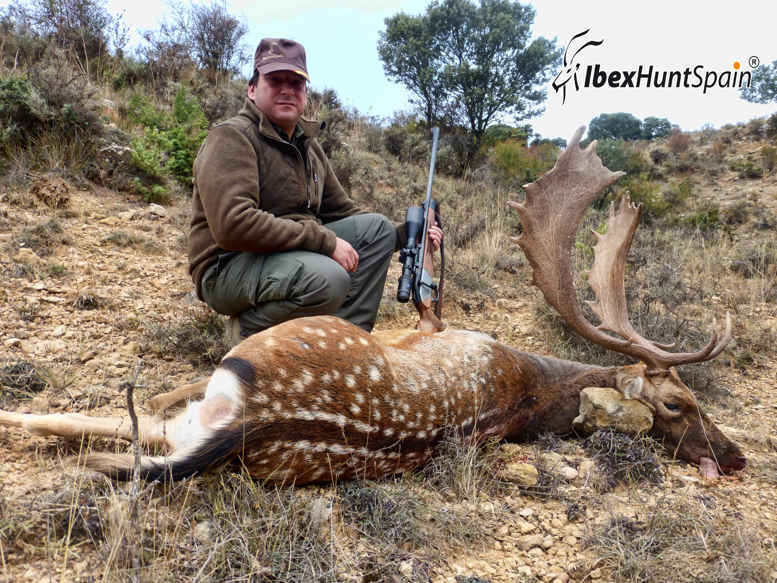 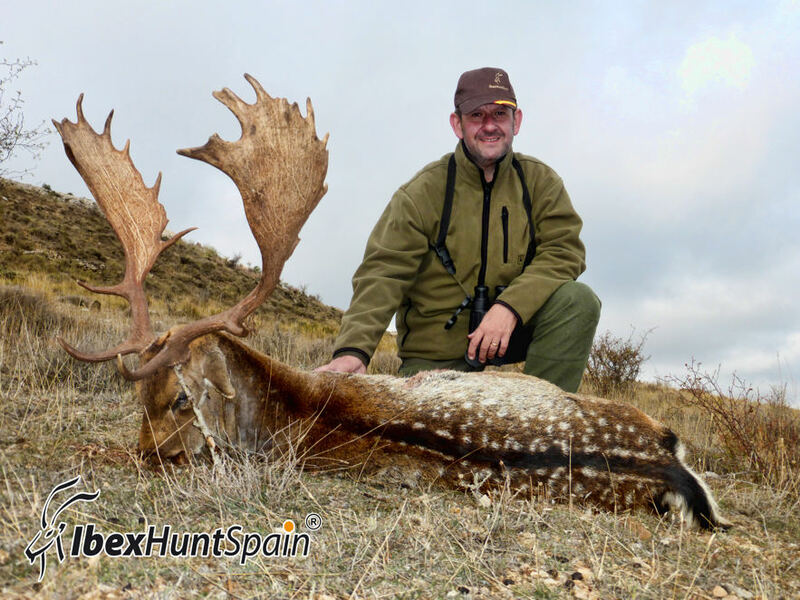 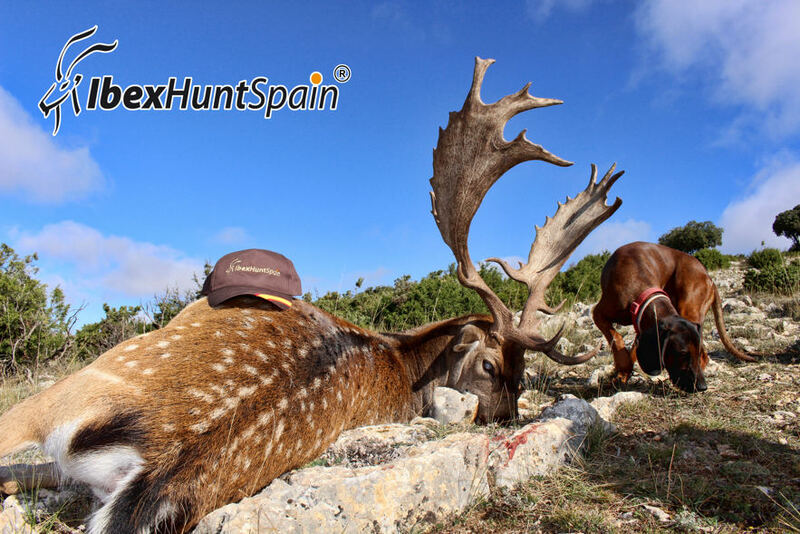 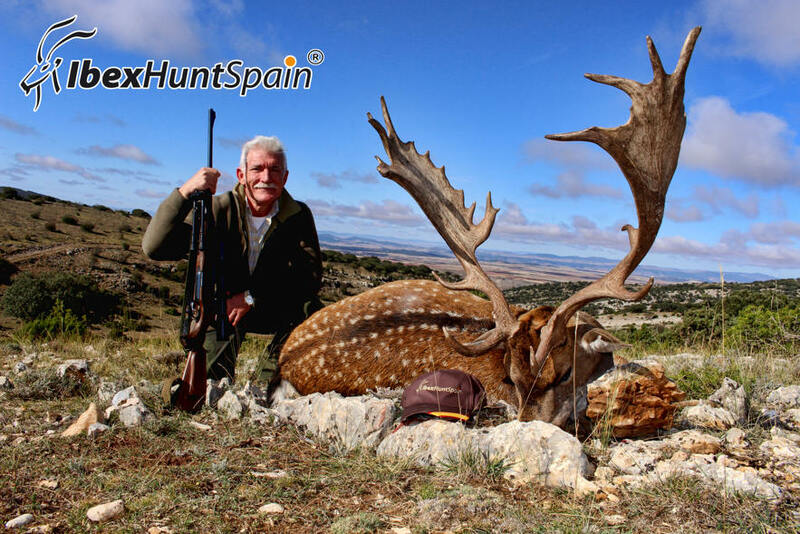 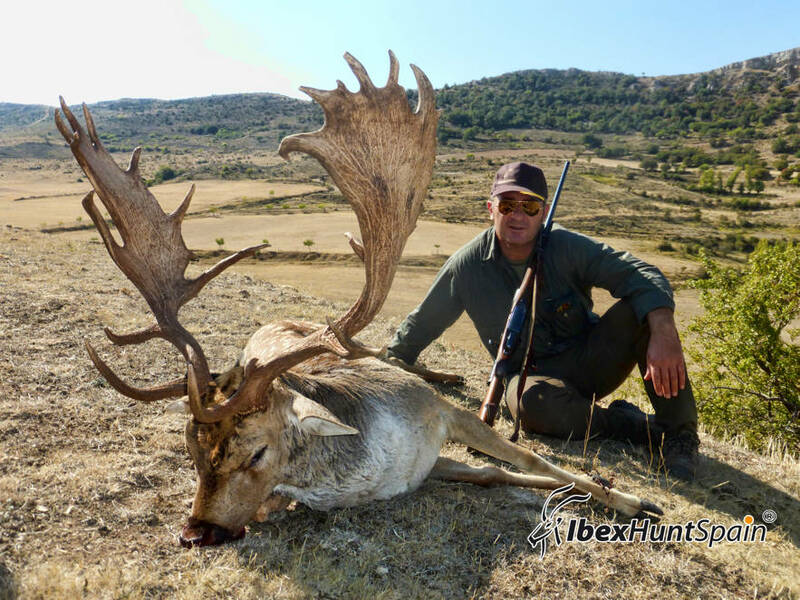 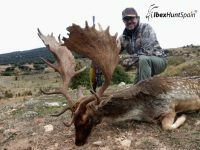 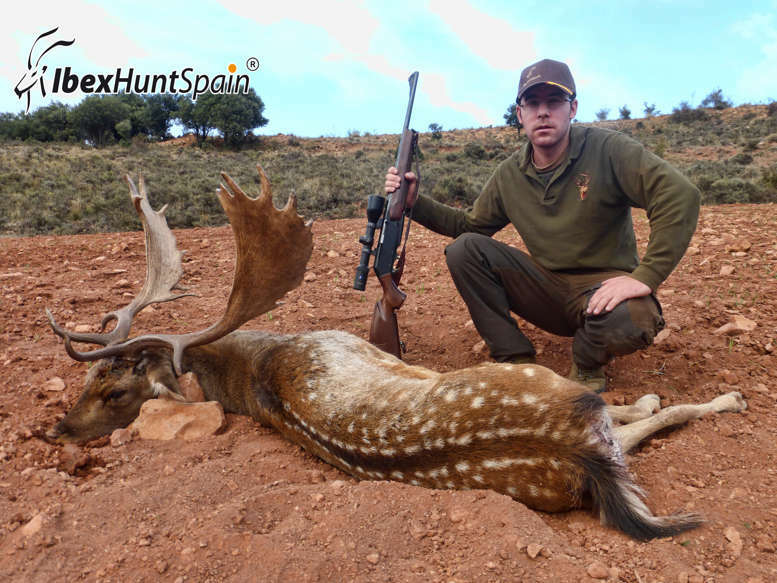 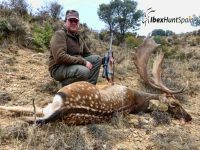 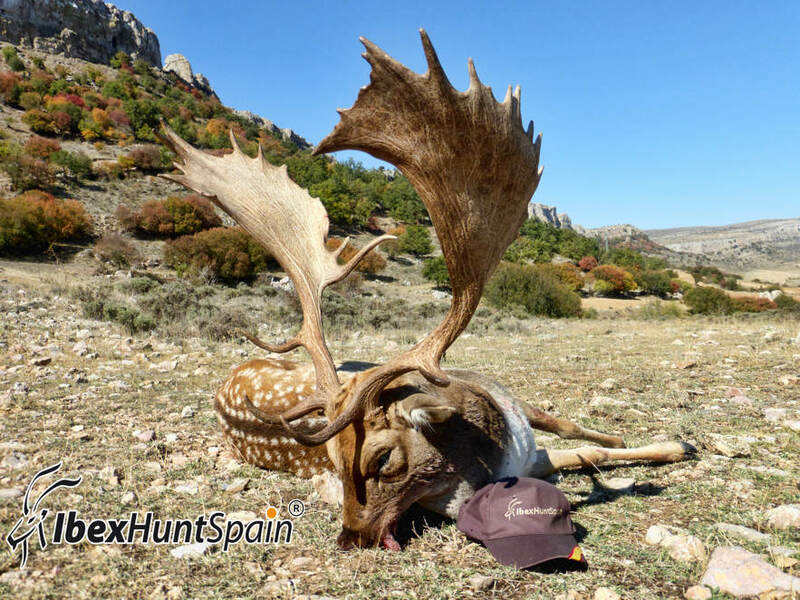 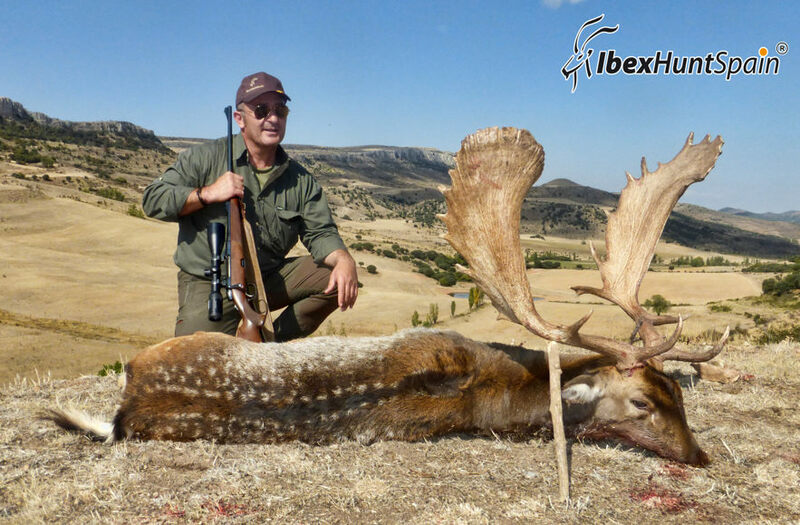 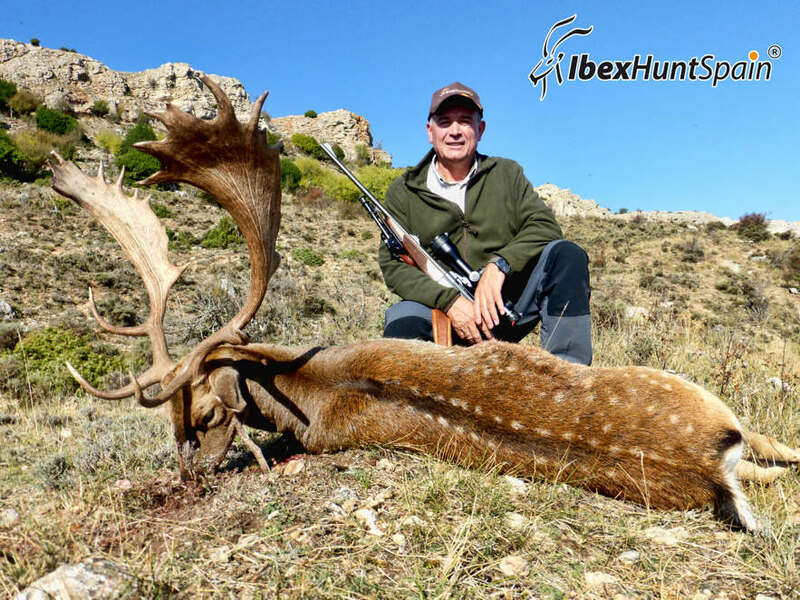 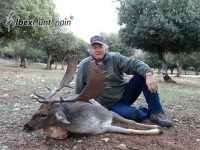 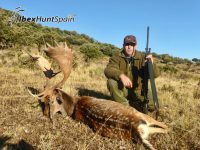 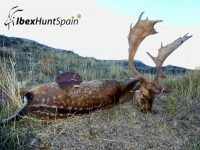 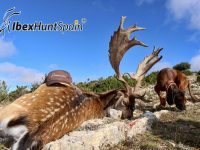 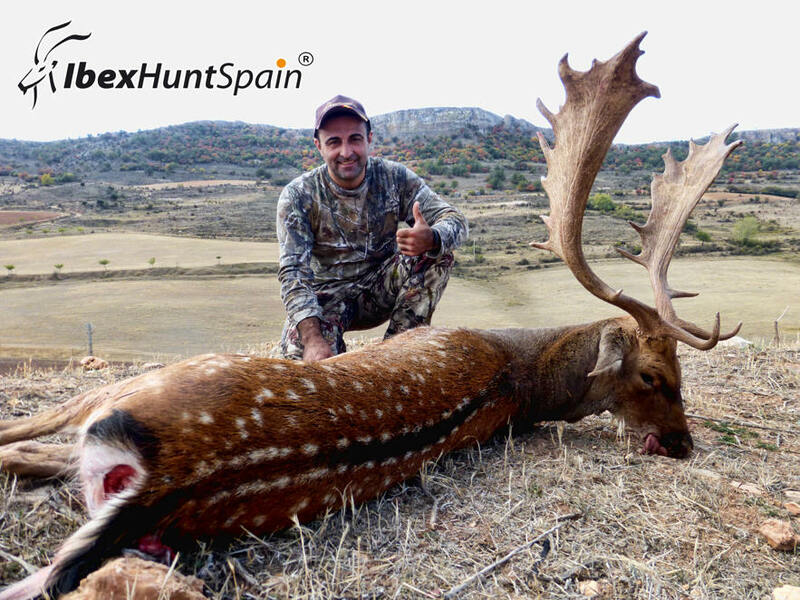 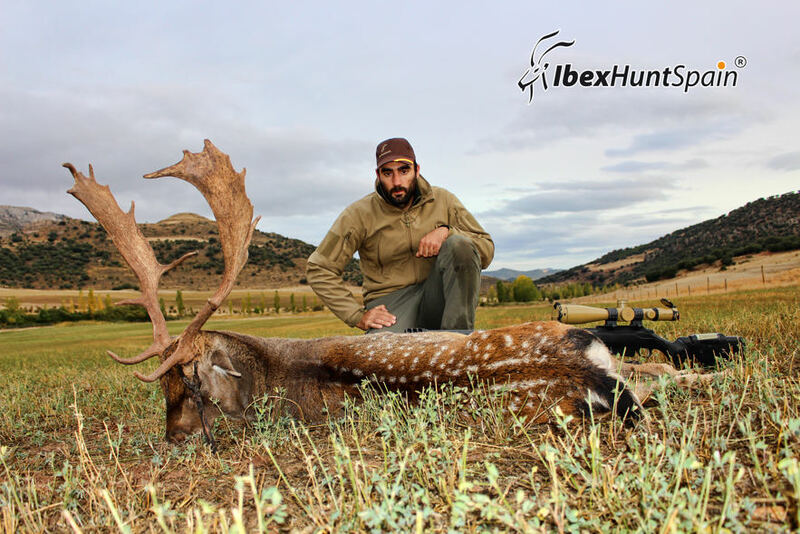 The fallow deer hunting area is at least 3,5 hours from Madrid airport. 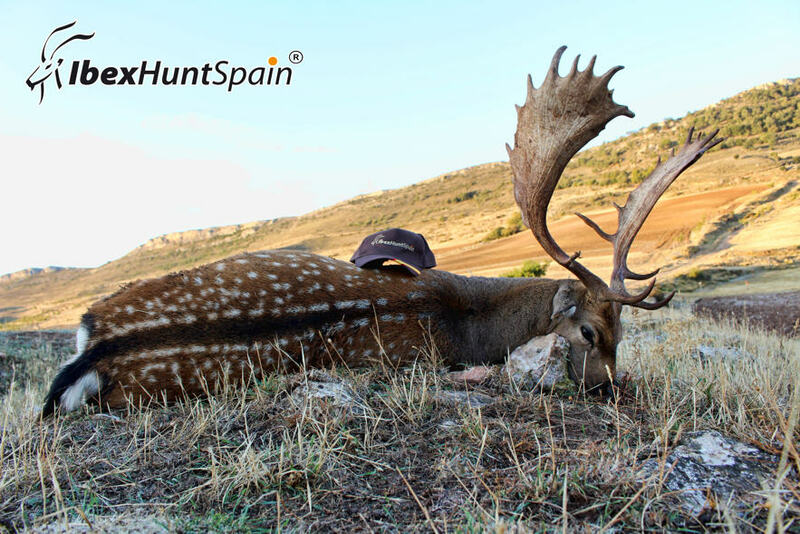 The common coat colour is brown with white spots on the back and a black tip at the end of the tail. 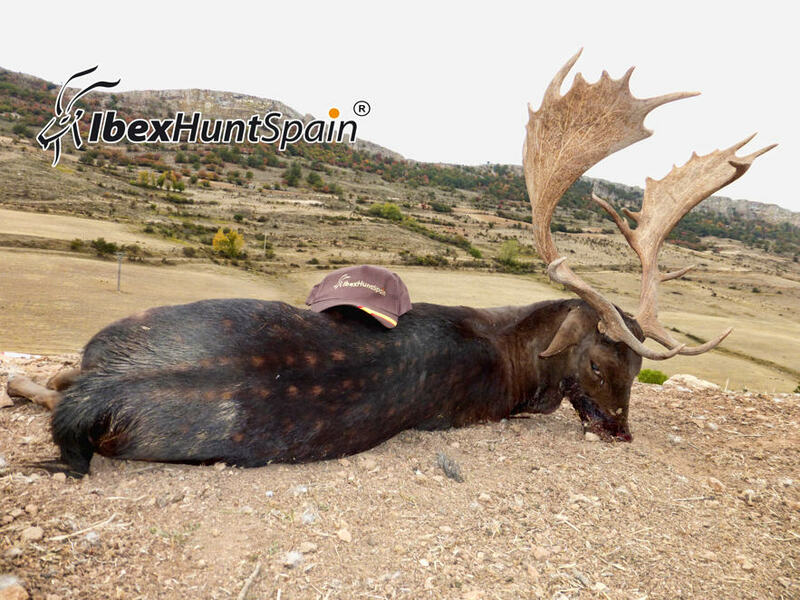 Winter colour is darker. 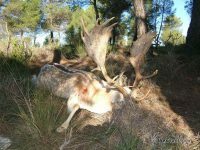 There are albino colour fallow deers. 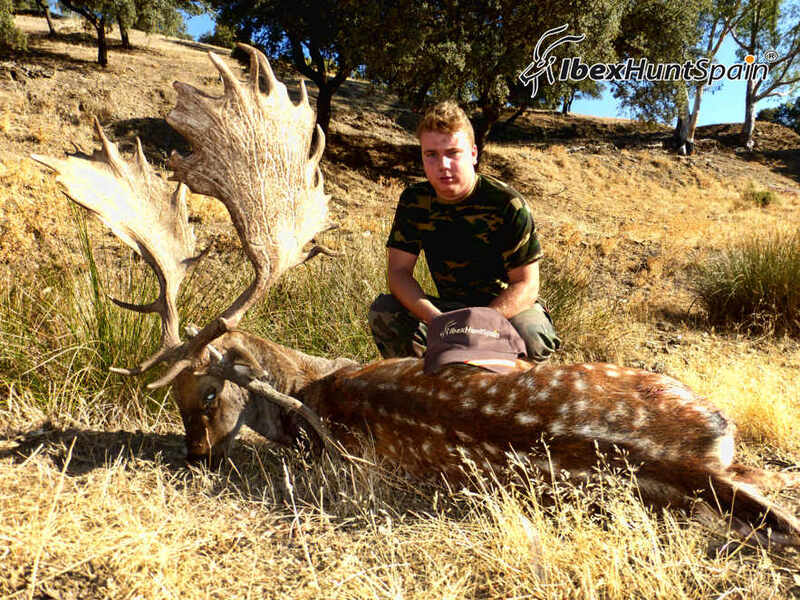 Does and fawns live in herds while males live in smaller groups. 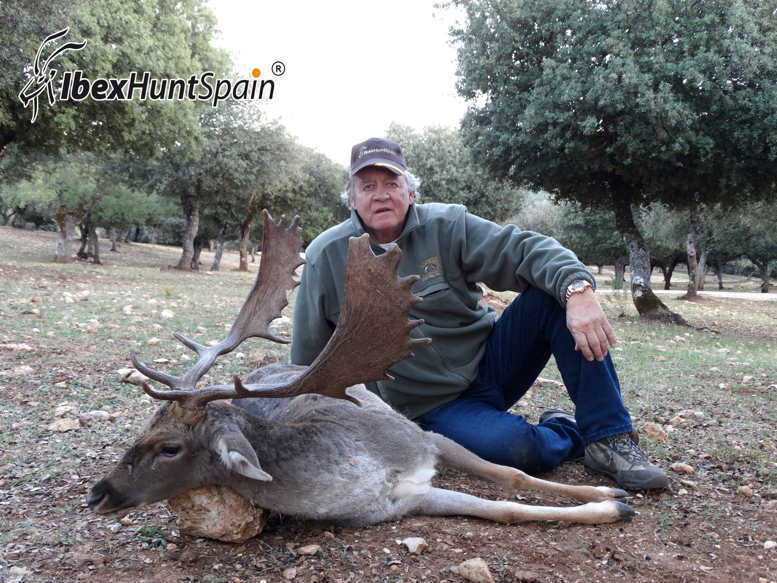 During the rut, bucks spread out forming harems and fighting furiously for its control. Fallow deer are grazing animals and prefer habitat in mixed woodland and open grassland. 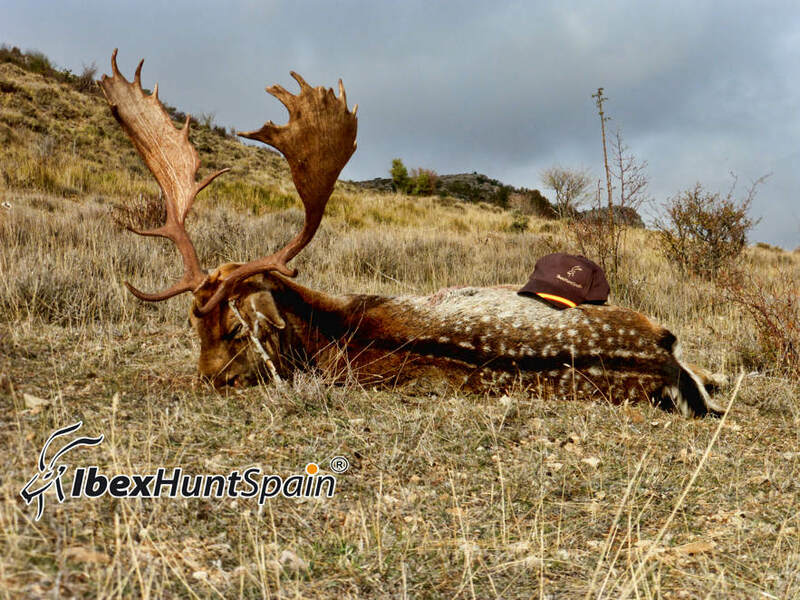 Only bucks carry antlers. 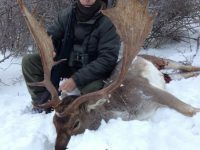 These are broad and shovel like, growing in size with age. September to March. 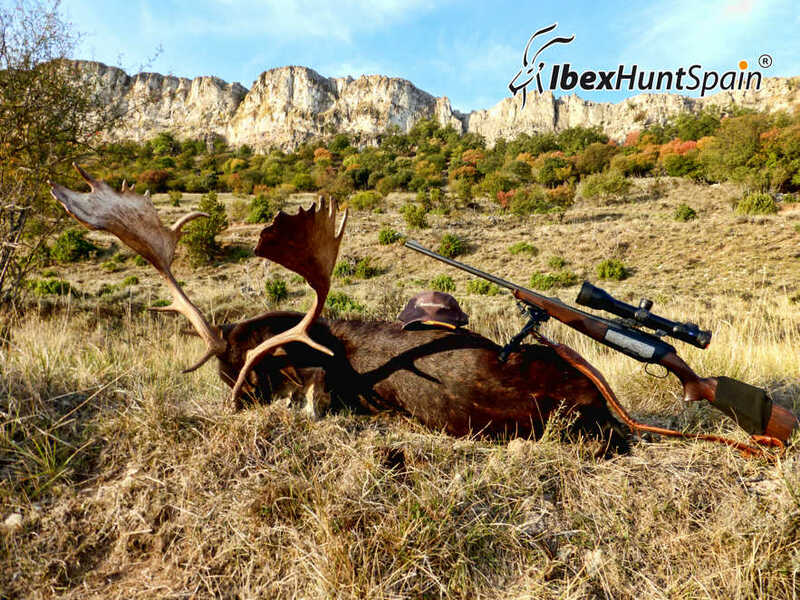 The best hunting season is September and October. 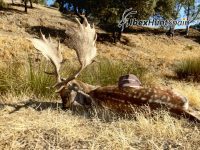 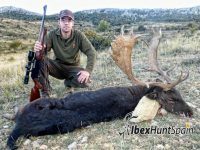 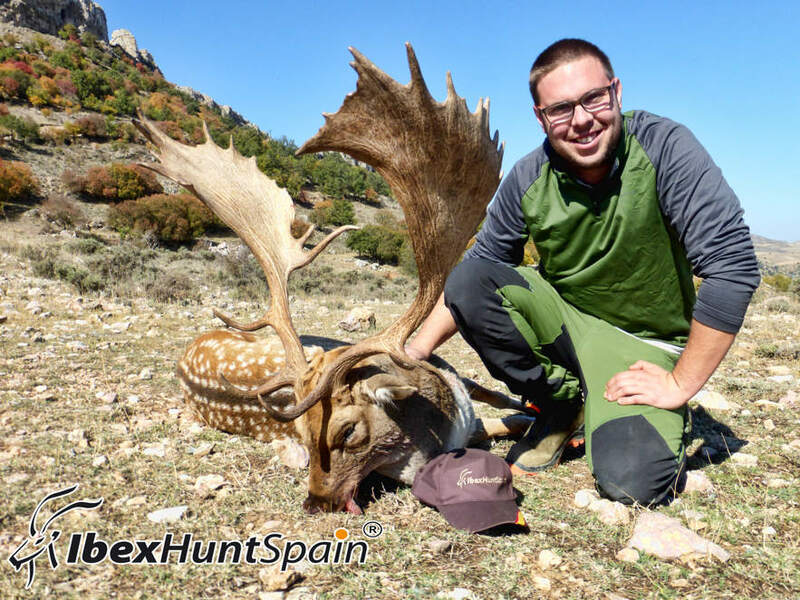 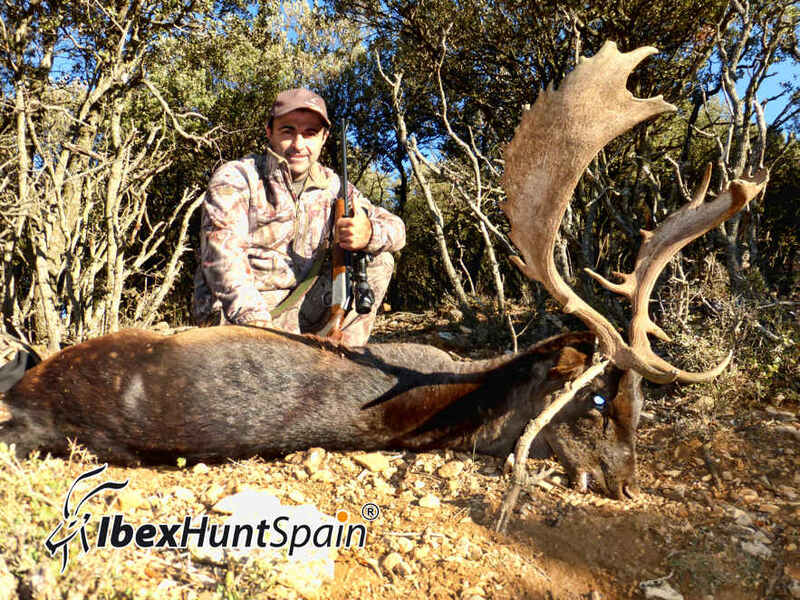 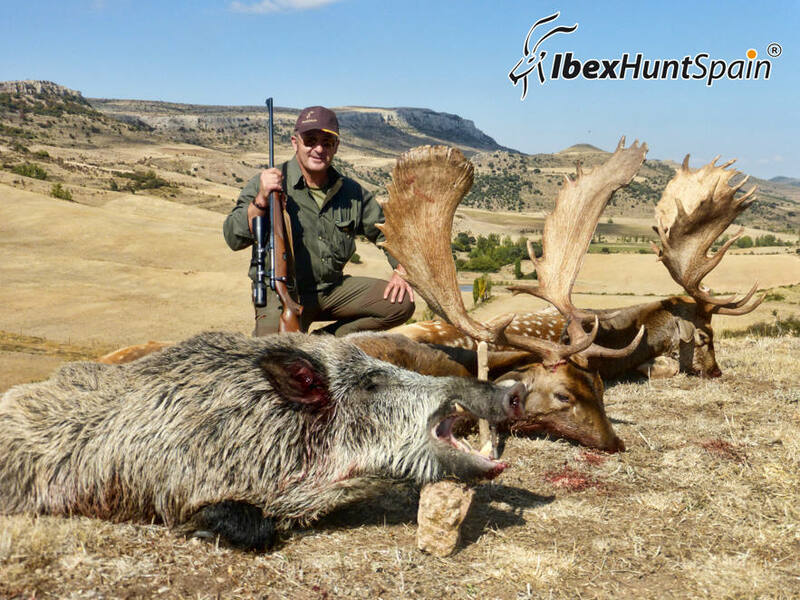 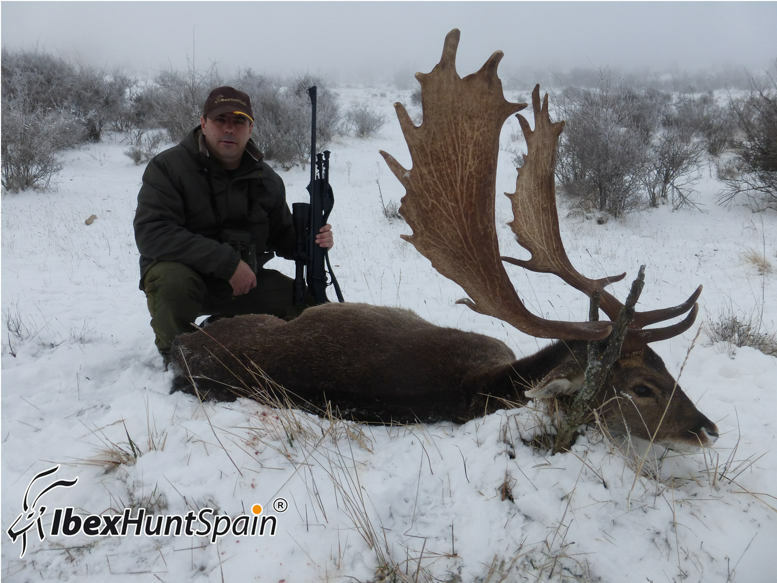 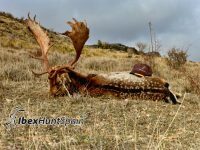 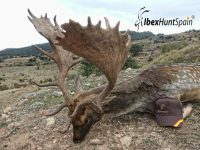 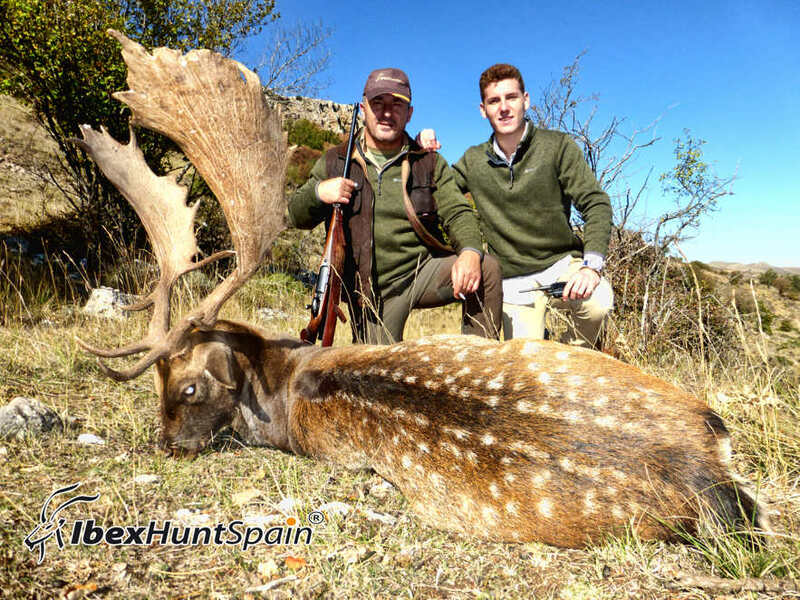 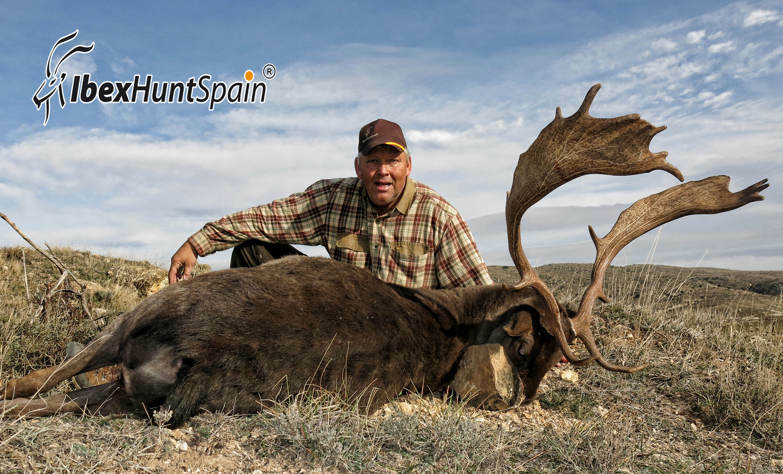 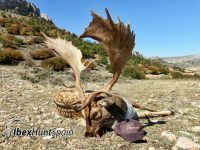 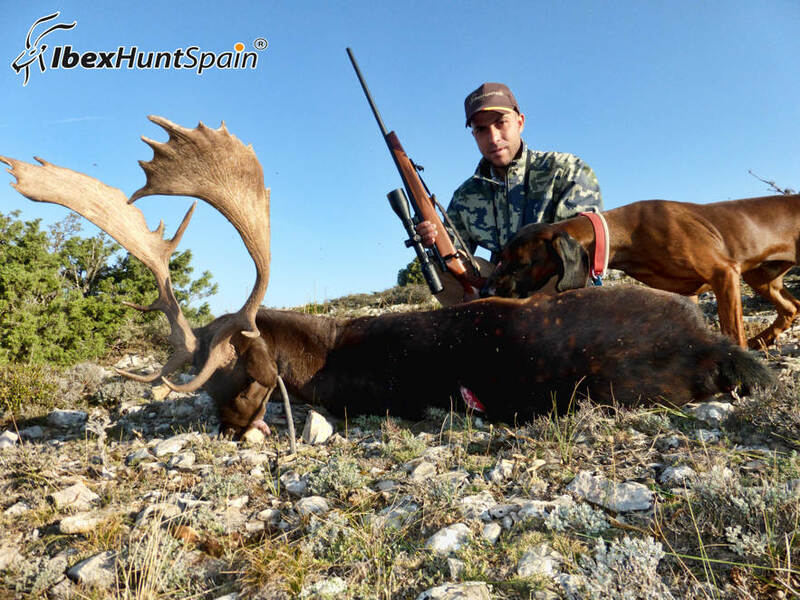 The hunting area is at least 3,5 hours from Madrid airport.